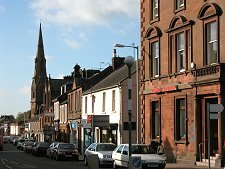 Lockerbie is the first large town north of the Scottish Border on the main road and rail routes from Carlisle to Glasgow. 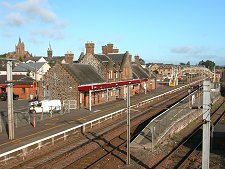 It has been bypassed by the main A74 since 1973 and the M74 since 1995, but the railway station close to the centre of the town on the main West Coast Main Line remains active. It seems likely that Lockerbie has existed since at least the days of Viking influence in this part of Scotland in the period around AD900. The name means Loki's Village in Old Norse. The presence of the remains of a Roman camp a mile to the west of the town suggests its origins may be even earlier. 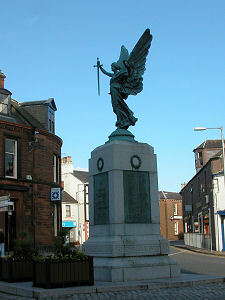 Lockerbie first entered recorded history, as Lokardebi, in 1306. 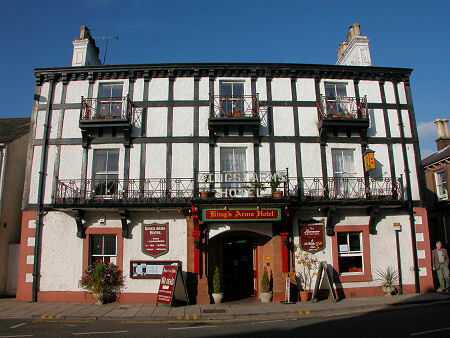 Lockerbie's main period of growth started in 1730 when the landowners, the Johnstone family, made plots of land available along the line of the High Street, producing in effect a semi-planned settlement. 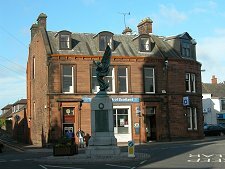 By 1750 Lockerbie had become a significant town, and from the 1780s it was a staging post on the carriage route from Glasgow to London. Perhaps the most important period of growth was during the 1800s. The century started well, with the construction of Thomas Telford's Carlisle to Glasgow road through Lockerbie from 1816. And it got better when the Caledonian Railway opened the line from Carlisle to Beattock through Lockerbie in 1847 and later all the way to Glasgow. From 1863 until 1953 Lockerbie was also a railway junction, serving a short branch line to Lochmaben. 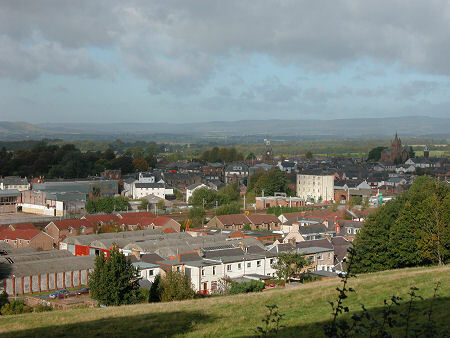 Lockerbie had been home to Scotland's largest lamb market since the 1700s but the arrival of the Caledonian Railway increased further its role in the cross-border trade in sheep. The railway also produced a lowering in the price of coal, allowing a gas works to be built in the town in 1855. 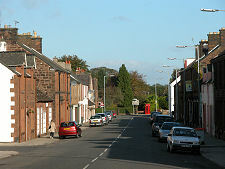 Much of Lockerbie is built from a red stone that can seem gloomy on a dull day or remarkably bright in the sun. As a result the weather can dramatically change the appearance and feel of the town. 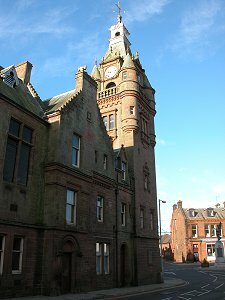 There are a number of particularly imposing buildings near the centre, none more so than the Town Hall, finished in 1880, complete with its impressive clock tower. 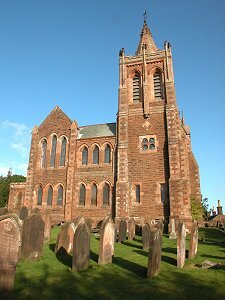 A little to the north of the centre is the Dryfesdale Parish Church, whose red stone exterior is outdone by its brightly decorated interior. The name Dryfesdale comes from the local river, the Dryfe Water, which joins the River Annan a little to the west of the town. Less well known and a mile and a half south of Lockerbie is the fascinating Ukrainian Chapel at the old Hallmuir Prisoner of War Camp. The name of Lockerbie is, of course, known worldwide because of the tragedy that took place here on Wednesday 21 December 1988. At 7.03pm a bomb on board a Boeing 747 Jumbo Jet, Pan American Flight 103 en route from London to New York, exploded over Lockerbie, bringing the aircraft down on and around the town. 243 passengers, 16 crew and 11 residents of Lockerbie were killed. The 270 victims ranged in age from 2 months to 82 years and came from 21 nations. The disaster is remembered in a number of way. Stained glass windows in the Town Hall display the flags of the countries whose nationals were killed. There is also a Book of Remembrance held in the Memorial Room at Tundergarth; and at Dryfesdale Cemetery, a little to the west of Lockerbie, there is the Garden of Remembrance and Lockerbie Air Disaster Memorial.